Rain or Shine, Central are fine. 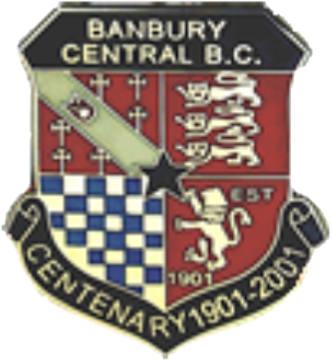 Established in 1901, we have been a home to bowlers in Banbury for well over 100 years and a totally mixed club since the mid 1950’s, the first in Banbury. “Bowling for everyone” could be our club motto as we cater for all levels of bowling skills, from members who enjoy a friendly roll up, through those who participate in our extensive friendly fixture programme, to the Ladies and Men’s competition bowlers who over the years have had wide success at County and National level, plus representation from our lady members at International level. Beginners of all ages are most welcome and help is at hand to introduce them to the sport. Our membership is fairly constant between the mid 80’s and 90’s. All members are encouraged to join in the club Men’s, Ladies and Mixed competitions, and to also play in the friendly fixtures against other local clubs. A Presentation Dinner for all members is held in October with the Presidents of the Oxfordshire County Men’s and Lady’s Associations invited as honoured guests. Our excellent facilities have enabled us to regularly host a number of important County matches throughout the season and helped us in 2000 to become the first and only club outside the City of Oxford to host Middleton Cup games. The clubhouse has a comfortable lounge bar, and the large patio area between the clubhouse and green is the perfect area for members and visitors to relax on summer evenings and enjoy a drink whilst watching games. In addition to bowling members’ a warm welcome is extended to non-playing social members. The club opens for bowling on the third Sunday in April and our season closes around the third week in September. Play is allowed from 12.00pm Monday – Friday and from 10.00am Saturday and Sunday. On Wednesday afternoons there is a league for club members and bowlers from local clubs. Wednesday evenings sees our ladies competing in the West Oxfordshire league whilst on Thursday evenings the club has two men’s teams competing in the Oxford and District Bowls League where the club has the enviable records of having won the Premier league 9 times 6 of which were in consecutive years from 2004 and 2009. Whether you are considering taking up bowls, thinking of changing clubs or have moved into the area and are looking for a club to join, we would be pleased to hear from you and provide you with further information. Copyright © 2019 Banbury Central Bowls Club. All Rights Reserved.